The thirteen members of the NZO together process 98 percent of all milk in the Netherlands. They do this in 40 locations throughout the Netherlands. The dairy is produced into a wide range of dairy products: from dairy drinks, baby & infant food, cheese and desserts to ingredients for the food industry and the pharmaceutical sector. Arla Foods B.V.’s mission is to make natural dairy products accessible to everyone. The company’s dairy production respects people, animals and the environment. Arla Foods B.V. provides the Netherlands with fresh dairy (milk, buttermilk, yogurt, custard, etc. ), extended shelf life dairy, coffee creams, cheese and butter. 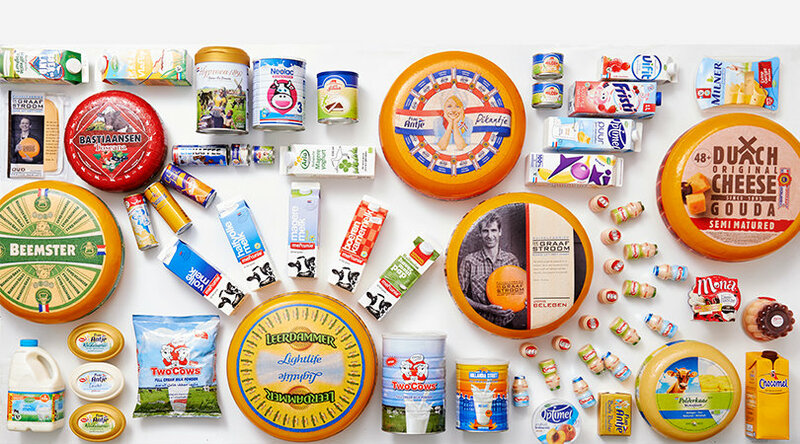 It is home to a diverse range of strong brands, including Arla, Castello, Lurpak, Melkunie, Milk & Fruit and Breaker. Arla Foods B.V., based in Nijkerk, came from Friesland Foods Fresh, and since May 2009 has been part of Arla Foods AmbA in Denmark, a dairy cooperative of around 12,000 dairy farms in Denmark, Sweden, Germany, the UK, Belgium and Luxembourg. Arla is the largest producer of biological dairy in the world. Fresh dairy, butter, cheese and cooking products are the four major product groups at Arla. The Netherlands is one of Arla’s core markets. Arla Foods B.V. is number 2 in the Dutch fresh dairy market, and it plays an important role in Arla’s plans to leverage fresh dairy in its growth across Northern Europe. 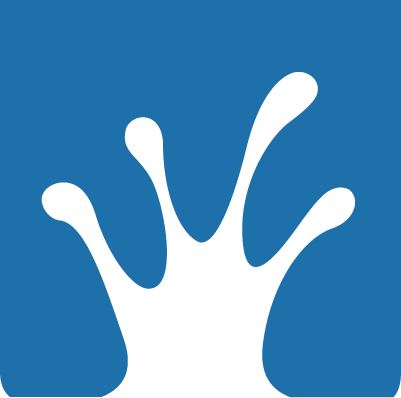 Ausnutria produces and sells its own brand of infant formula from both cow’s and goat’s milk. For the business market, it also offers private label production of infant formula and the production and sale of dairy ingredients. The company wants to contribute to the availability of healthy and nutritional infant formula so that parents and caregivers using formula have access to high quality products. Ausnutria’s headquarters are in Heerenveen. The company has additional production facilities in Kampen, Leeuwarden and Ommen. The company focuses on the global market, including China, which is home to its partner and shareholder Ausnutria. Royal A-ware, a Dutch family business, is specialized in producing, maturing, cutting and packaging cheese and other fresh food products. Together with its chain partners, it works to build shorter, more profitable agrifood chains. 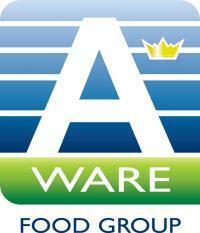 Royal A-ware invests in sustainability, its surroundings, and in the welfare and development of its employees. Royal A-ware sees annual revenues of around EUR 1.1. billion and has 2,200 employees. 420 enthusiastic colleagues work at Royal Bel Leerdammer towards the success of Leerdammer®. They do this from the production locations in Schoonrewoerd, Dalfsen and Wageningen. On average, about 70,000 tons of cheese come off the conveyer belts. That means around 700 million kilos of milk from around 1300 dairy farms. 16 transportation companies make sure that this milk is picked up and brought to the factory. Most of the cheese goes to Germany, Italy and France, but Leerdammer is for sale in no less than 27 countries. Since 2002, Leerdammer® has been part of the international Bel Group and is proud of its position as one of the 5 core brands of the group. With real attention for people, nature and the environment, CONO Kaasmakers aims to make the most delicious cheese according to its own, unique craftsmanship in taste and texture. The cooperative wants to become a leader in socially responsible entrepreneurship, and strives for an honest margin across the entire chain. CONO Kaasmaker’s cheese factory is located in the center of the Beemster, a UNESCO World Heritage Site. Here its cows graze four meters below sea level, on fertile soil of blue clay. From their milk, CONO cheese is made, including Beemster cheese, the leading brand of the company. DOC Kaas is a major link in the cheese chain. It is a cooperative that serves and guides the entire chain, from cow to consumer. This chain is located entirely on the same premises: the Dairy Park in Hoogeveen. A cheese factory, a whey factory and warehouses bring all links in the chain together, making growth and differentiation possible. DOC Kaas produces natural cheeses, sliced cheese and high quality ingredients for human and animal diets. As a cooperative, it is DOC Kaas’s strategy, together with its members, to respond to the effects of European guidelines regarding export, competition and the milk prices, which are under pressure. DOC Kaas has 1,100 members and processes around 1 billion kilograms of milk. Every day Royal FrieslandCampina provides millions of consumers all over the world with dairy products containing valuable nutrients. With annual an revenue of 11.4 billion euro, FrieslandCampina is one of the world’s five largest dairy companies. FrieslandCampina has offices in 28 countries and employs a total of 21,186 people. FrieslandCampina’s products find their way to more than 100 countries. Headquartered in Amersfoort, the company is fully owned by Zuivelcoöperatie FrieslandCampina U.A., and with 19,244 member dairy farmers in the Netherlands, Germany and Belgium, it is one of the world’s largest dairy cooperatives. De Graafstroom is a producer of naturally matured round and square Gouda cheese located in Bleskensgraaf. Each year, it processes around 390 million liters of milk. Since 2009 the dairy factory has been owned by DeltaMilk, a cooperative of 150 dairy farms. Passion and craftsmanship are the priority of the employees of De Graafstroom. They make optimal use of the milk in order to produce cheese in a sustainable way. A portion of the energy released during this process is recycled. De Graafstroom believes that it is important to contribute to the conservation of our planet. On the basis of good custodianship, the company has worked towards a sustainable future since its founding in 1908. Hochwald Foods Netherlands is a part of the Hochwald cooperative, one of the large milk processers in Germany. Its location in Bolsward produces sweetened condensed milk in small and large packaging, sterilized cream in small packaging, and ready-to-drink products (iced coffee, flavored milk beverages). The Dutch company is heavily focused on export. As a producer of food for daily consumption, Hochwald is committed to protecting resources and the environment as much as possible. Cheese factory Henri Willig prepares, packages and delivers first-class specialty cheese. In addition to trusted matured cheeses from regular and biological cow’s, goat’s and sheep’s milk, the company offers a broad range of herb cheeses. Willig is the leading supplier of Baby Gouda in various types. The company was founded in 1974 when Henri Willig and his wife Riet expanded their dairy farm De Jacobshoeve in North Holland and added a cheese factory and store. Since then, the company has also added a production facility in Heerenveen and farms in Katwoude, Volendam, and on the Zaanse Schans. Nearly one million tourists visit the Zaanse Schans each year to learn about the craft of cheese making. The cheese is delivered to its own Cheese & More by Henri Willig stores in and around Amsterdam. The company also exports cheese to 25 countries worldwide. Rouveen Specialty Cheeses is considered one of the most versatile cheese producers in Europe. Each year, the cooperative processes 150 million kilograms of milk into specialty cheese for the national and international cheese market. It processes not only cow’s milk, but also milk from sheep and goats. The cheese is produced in batches of around a thousand kilo. In addition to the milk that Rouveen Specialty Cheeses features itself, it offers the possibility to deliver special milk separately for processing, such as buffalo’s milk or milk from natural areas or estates. Vreugdenhil Dairy Foods is an independent producer of milk powder. The company has grown into one of the largest suppliers in the world of high-quality milk powder and dairy ingredients for the nutritional industry. Vreugdenhil’s dairy farms process nearly a third of all milk made into milk powder in the Netherlands each year. The company produces a wide range of products at its locations in Nijkerk, Gorinchem, Scharsterbrug and Barneveld. The assortment includes whole milk powder, low-fat milk powder, cream powder, fat-filled powder, specialty products and dairy nutrients. Yakult Europe BV was started in the Netherlands in 1994 by the Japanese company Yakult, a producer of a fermented dairy beverage with lactobacillus. The company was founded in 1935 by Doctor Minoru Shirota, who managed to cultivate lactic acid to promote healthy intestinal flora, which is important for digestion and the immune system. The company’s location in Almere is not only Yakult’s European headquarters, but is also its only production location in Europe.